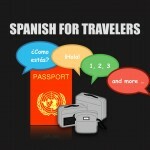 Now you will never need to feel confused about how say you could have, would have, or should have, in Spanish. You may have at some point found yourself trying to represent these as an exact English translation and found yourself getting confused, and if you haven’t done it yet, you will – or you would have had you not found yourself here reading this post. 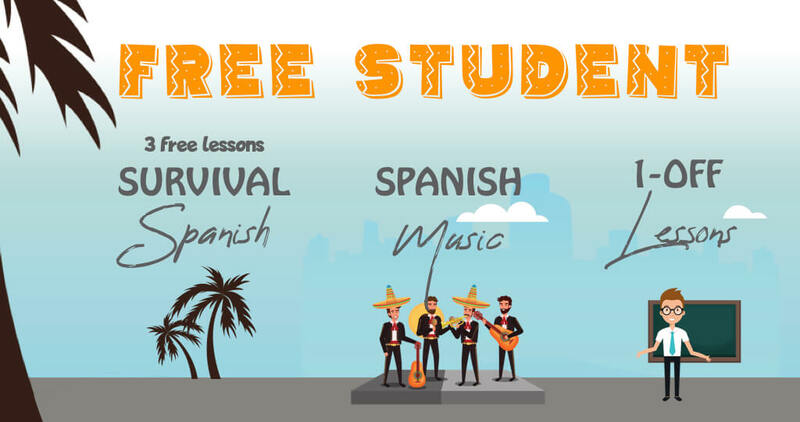 We’re going to show you how to construct these ideas in Spanish so you never get stuck (again). In English, words like could, should, and would are part of a classification of words known as modal verbs. They precede the main verb of the sentence and express a necessity or possibility of doing something … ‘I could go to Spain’ or ‘I should do my homework’. Below is a a list of the 9 most common modal verbs used in English. Then we will look at how the same ideas are constructed in Spanish. In Spanish, we cannot always use a direct translation of English modal verbs. When we translate into Spanish, we sometimes use specific verbs preceding the main verb and sometimes just specific tenses. For example, deber used before a verb can mean ‘must‘ or ‘should‘ depending on how it’s conjugated; when conjugated in the present it means ‘must‘, when conjugated in the conditional it means ‘should‘. This is similarly the case when the verb poder is used before the main verb; expressed in the present tense it means ‘can‘, in the conditional it means ‘could‘. Finally, in some cases we don’t need to use a preceding verb like poder or deber, but instead just conjugate the main verb in a specific tense. This is the case for may, will, or would, which all use associated tenses (the subjunctive, the future, and the conditional respectively). For example, to say ‘I will go‘, you need only conjugate the verb ir (which means ‘to go’) in the future tense – Yo iré; to say‘I would go’ it’s yo iría. There is no preceding verb in these cases. 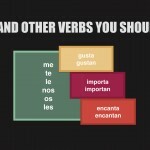 Take a look at the following table summarizing how to translate each modal verb into Spanish. Remembering what we’ve just learned, let’s add another layer of complexity. Coulda, shoulda, woulda, while not proper English, are expressions widely recognized as referring to a hypothetical past. The difference is the additional ‘have‘ which changes the tense into the past and the past participle which changes the verb from something like eat to eaten. We can follow the same structure in Spanish, adding the verb ‘haber‘ (to have) and the past participle. As we saw above, ‘could‘ and ‘should‘ used poder and deber conjugated in the conditional tense followed by the infinitive. To construct ‘could have’ and ‘should have’ we again use these same verbs, but now just add the infinitive form of haber and then the past participle of the main verb instead of the infinitive. We can also use deber and poder in the present tense with the verb haber. The present tense of deber expresses ‘must’ as we saw above, so adding haber will give us ‘must have‘. When we use poder in the present tense with haber, it gives us ‘can have .. ‘ in English, but that doesn’t make sense as a literal translation … I can have gone’. A better translation would be ‘may have‘ in this case. To construct ‘will‘ and ‘would‘ we relied on neither poder or deber, but instead future and conditional conjugations respectively. This is similarly the case for ‘will have‘ and ‘would have‘ but now we conjugate the verb haber in these tenses followed by the past participle of the main verb. 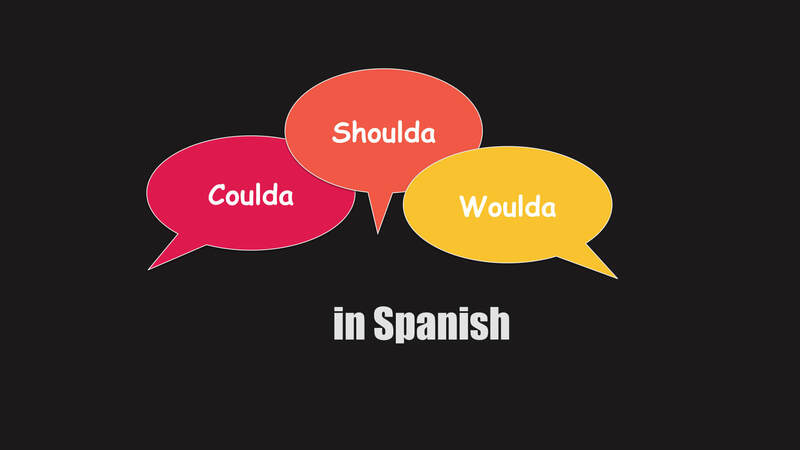 ‘Would have‘ may alternatively be constructed using the subjunctive form, rather than the conditional, in scenarios in which the subjunctive is required. Specifically, we use the subjunctive past perfect of haber and the past participle. To construct ‘may‘ we used the subjunctive. When we use the subjunctive and add haber + the past participle, we do not quite get the idea of ‘may have’ (as we have already seen how to construct this with poder) but we get a more specific sentiment in Spanish that is closer to the English version of ‘have ever’. Just came across your site, and I must say that your explanation of would, could, should etc and modal verbs is the simplest and most complete I have yet seen. I liked the Summary tables which make a convenient summary of the various tenses. ¡Qué bien! Glad it helped!